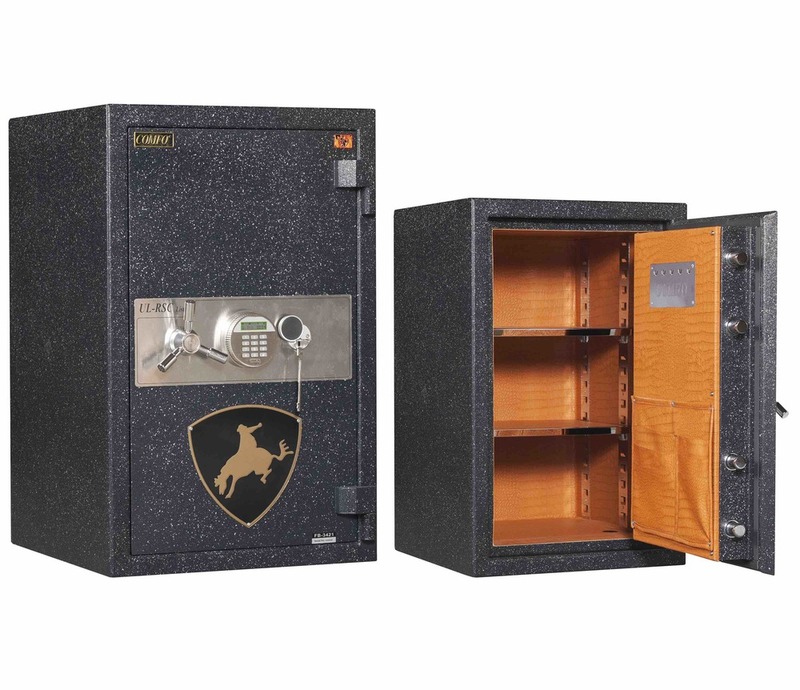 The RSC rating is based on the safe door withstanding a minimum of 5 minutes of continuous attack using common household tools such as hammers, pry bars, crowbars, chisels, a drill with a ½ horsepower motor, etc. 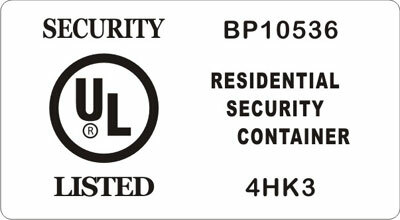 FB safes have much thicker steel both in the door and body than is required to receive a UL RSC rating. Door : Composite construction comprised of barrier material. 4 1/3” overall thickness including facial 1/5” steel plate, 1/8” middle steel plate, and 1/13” inner steel plate. It's B rate door construction with fire resistance function. Body : Composite construction comprised of barrier material. 2 1/2" overall thickness including 1/8" inner steel plate, and 1/13 " outer steel plate shell. FB-2221, FB-2621, & FB-4021 can be with Double Bit Keylock as optional. With Patented Bolt system or whole horizontal Bolt (6 times longer than normal). 3 spoke Handle as standard. Silver, Golden & Black color as optional. Shattered glass Relocking device as 1'st Relocker. Spring loaded auxiliary Relocking device as 2'nd Relocker. 1 1/4” Dia. chrome plated solid steel locking Bolts. Unique full length formed composite dead bar. Expandable intumescent Fire Seal on 4 sides of door. Interior : Flexible design upholstered inside walls, shelving & door cover panel. One recessed bolt down hole with plastic cover Cap. Heavy duty ball bearing solid steel block Hinges. Class 350°F, 2 Hours Fire Resistant MFG label. Shining Stainless fascia decoration plate. Adjustable wooden Shelves wrapped by Carpet. Colored accessory box inside each safe. Paint : Black & Beige White as standard.